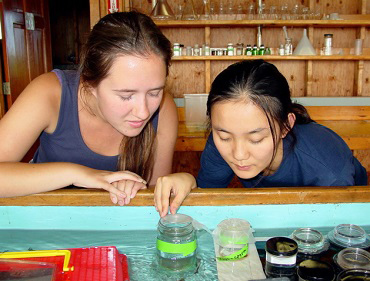 Learn more about student life at the Shoals Marine Laboratory by viewing The Appledore Island Handbook below! 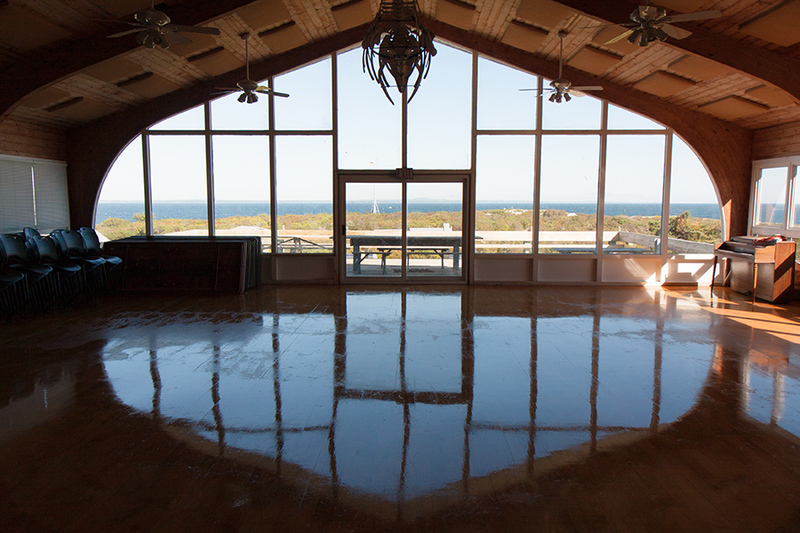 Completed in 1974, the Kiggins Commons houses Shoals Marine Laboratory’s main kitchen and dining area. The Appledore Store is located on the first floor. The spacious dining area also serves as a common space for study, lectures, and evening socializing. The Water Conservation Building (public restrooms with composting toilets) is adjacent. The ground-level floor houses a laboratory with indoor and outdoor seatables. 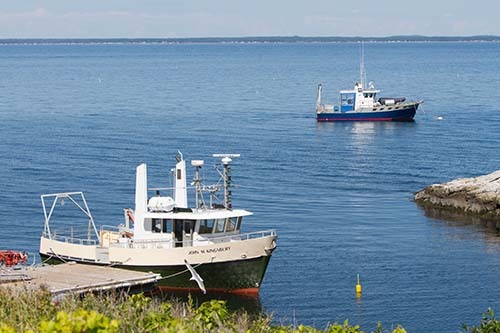 The Commons back porch serves as a loading dock for the kitchen and the front deck is a favorite gathering place with a magnificent view of the north part of Appledore and the mainland to north and west. 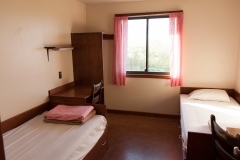 Each of SML’s three dorms has washrooms and 10 double-occupancy rooms (20 person capacity). Their location is convenient to the Commons, laboratories, and classrooms. Students are also housed in quad-occupancy rooms on the first and second floors of Founders Hall. Most teaching at SML occurs out in the field! 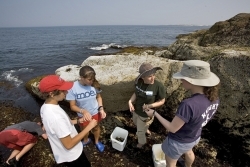 However, classrooms do exist on Appledore Island. The first floor of Hamilton House is SML’s largest classroom. Three classrooms in Laighton can accommodate classes of 20 or fewer students each. Located on the second floor of Hamilton House, the island office serves as the logistics hub of the marine lab. The island infirmary is well-equipped with health/medical supplies. All island staff receive First Aid, CPR, AED, and oxygen administration training.